February 7, 2011 | Al B. 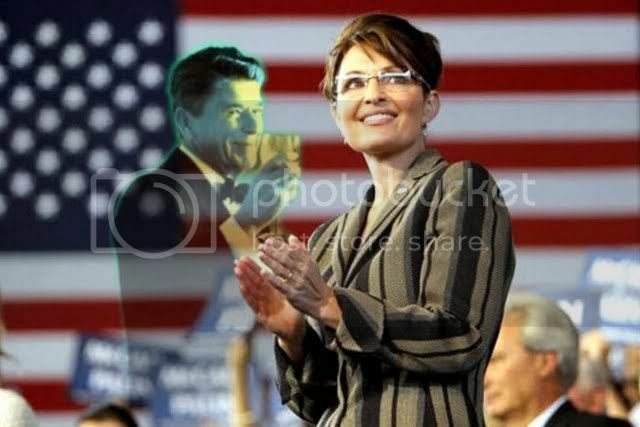 As you know, Sarah Palin was a girl of a sixteen when President Reagan was sworn in as our 40th president. When the Young Americas Foundation asked her to their Keynote speaker at the celebration of Ronald Reagans centennial she was both humbled and honored, but we all know why she was chosen and why she was the perfect selection. Our own Al B. has taken his own time to bring us the text of her remarks! Well thank you so much. Thank you. Thank you so very much. What an honor. Thank you. Thank you very much. Have a seat. Oh, I so appreciate this opportunity. Thank you so much Reagan Ranch Center and Young Americas Foundation for allowing me this honor to get to share with you this, the celebration of Ronald Reagans centennial. I cant tell you how really humbling this is for my family and for me to get to be here. Today, out at the ranch it was simply overwhelming and inspiring to get to be there riding horses. Riding horses on trails that Ronald Reagan had cleared and I have to admit, we are a little bit more comfortable riding snowmachines than horses. In fact, if you get a chance, ask Bristol how her experience went riding horses. If it doesnt kill you it makes you stronger, Bristol. It was overwhelming, though, and to know the work that Ronald Reagan had put into that ranch as he had loved and cherished that land, those wide-open spaces. There we were, riding horses along the trails that he had cleared, feeling the breeze in my face and feeling that warm, southern air overhead. I knew instantly, I knew instantly why Ronald Reagan loved that ranch. After riding horses, we got to drive a bit further higher up and we got to look out over the Pacific Ocean. I knew instantly why it was he felt so inspired in that place. He loved that place. He loved it not just in visiting and enjoying its beauty. He loved it in caring for it, in working it, in building the fences with his own hands and chopping wood, and clearing back the thick brush and clearing the trails. The ranch is unmistakably the home of a western conservative who celebrated our pioneering spirit. He thrived. He found inspiration and he told people that he seemed to be able to see clearer out there in those wide-open spaces of Americas frontier. As an Alaskan, I proudly consider myself a western conservative in the spirit of Ronald Reagan, in that tradition, because I know that he understood the small-town pioneering spirit and values of hard work and rugged individualism and love thy neighbor. those are the values that we grew up with. Those are the values Ronald Reagan embodied. They are the values of his ranch. And what a turbulent and turning world he faced in 1964, when, remember he gave his famous speech? A Time for Choosing and it was on behalf of Goldwaters campaign. That speech, which eventually came to be known simply as The Speech. It gave birth to the Reagan Revolution because it was more than just a campaign address. It was a call to action against a fundamental threat to freedom. It was given by a former Democrat who had been a former union leader, who left his party because his party had left him. Reagan saw the dangers in LBJs great society. He refused to sit down and be silent as our liberties were eroded by an out-of-control centralized government that overtaxed and overreached in utter disregard of constitutional limits. He saw our nation at a critical turning point. We could choose one direction or the other. Socialism or freedom and free markets. Collectivism or individualism. In his words, we could choose the swamp or the stars. Not a typical jovial speech of Reagans that he gave that day. Remember we got so used to, before and certainly after, hearing more of the chipper Gipper. Wed hear more of his jokes and more of the humor that he was so known for. But not that day because the vision that he laid out for us...he outlined this vision that was quite stark. It was more somber than normal because that vision that was so stark was based on the fact that unlike others, Reagan seemed to be able to look out over the horizon and see what unsound policies, policies of big government expansionism and a foreign policy of Soviet appeasement...where that would ultimately end, and that was in decline and defeat. He wanted to know, then, if Americans still had the courage and the will to not only endure but to arise and succeed and soar. So he asked us candidly and soberly that day...he asked us whether we still believed in our capacity for self-government or, whether we abandon the American Revolution and confess that a little intellectual elite in a far distant capital can plan our lives for us better than we can for ourselves? Those were strong words and the country as a whole wasnt quite ready to hear them. But his message did catch on slowly. He was mocked and he was ridiculed, and criticized and put up with so much. He was able to handle that criticism, though. I talked to some of his former colleagues, his friends today about how did he handle that criticism that came his way. You know, they said, he let that criticism just kind of roll off of his back like a duck with water off its back. But not when it came to Nancy. He said, dont touch my Nancy. Great respect for that. His message did catch on, though. In 1964, the conservative movement heard him. In 1966, California listened to him. In 1976, finally, the GOP rank and file listened to him. In 1980, the nation listened to him. In 1984, the whole world heard him. So by the time he left office, Ronald Reagan had effectively defeated the expansive ideology of the Great Society. And remember, Bill Clinton gave his eulogy some time later when he declared that the era of big government was over. But if history teaches us anything, its that bad ideas are never gone for good. And for the last two decades, folks, we have seen big government slowly encroach on us again. And it was subtle at first, couched in the language of progress and compassion. But when the financial crisis erupted in 2008, no more subtlety there. No, big government rose up and presumptuously declared itself the solution to our problems. Determined, of course, the left is, to never let a good crisis go to waste. And two years later, look around and see the results. Its staggering. A devastating 14 trillion dollar national debt. A 1.5 trillion dollar deficit. A mind-boggling 84% increase in federal spending. A dangerous 17% real unemployment rate. And a heartbreaking 2.9 million home foreclosures just last year alone. Big governments help always seems capricious, expensive and destructive. Perhaps nowhere is this more evident than right here in beautiful California where some of the nations richest, most fertile farmland lays fallow and the livelihoods of thousands of hard working family farmers are destroyed, and theyre destroyed all because some faceless, dim government bureaucrat took away their lifeline  their water. And they claim it was in order to protect a two-inch fish. Now where I come from, we call that bait. And there is no need to destroy peoples lives over that bait. If President Reagan were alive today to see what is happening to his beloved Golden State, the hills of the Central Valley would echo with his outrage. Now nationally for many of us today, that outrage, that moment of outrage came with the passage of Obamacare. For liberals, of course it was a crowning achievement, government control of health care that had been a goal of theirs for generations. They stopped at nothing to get it passed, not even the Constitution. And they sowed the seeds, though, of their defeat in the process. Last November the American people rose up and decisively rejected big government. We dont want it, we cant afford it, so we fired many who had forced it upon us. We the people said enough is enough. ...Where bureaucrats would declare that we shall be great and innovative and competitive. But not by individual initiative anymore. No, by government decree. Its the same old tax-and-spend policies, or rather now its borrow and spend, then tax the job creators. But well no longer call it government spending for a while. They called it stimulus. But that didnt work because clearly it didnt stimulate anything but a Tea Party. So now, theyll call it investing but you have to ask yourself, if government overspending is investing, then bankruptcy would be a sign of economic strength and it just isnt so. Sure theyll try, though, and they have all sorts of half-baked ideas on what to spend, I mean invest, our hard-earned money on for their idea of national greatness. These investments include everything from solar shingles to fast train tracks. But as we struggle to merely service our unsustainable debt, the only thing these investments will get us is a bullet train to bankruptcy. To me, it is so odd that the answer to our problems is green energy. It plays a curiously big part in these investments. Now, green energy sounds...ideas there... Im fine with. We should all be fine with. Im in favor of a sound all-of-the-above approach to energy independence. But all of the above means conventional sources of energy. That kind that we, you know, actually use today reliably to fuel our economy. Our own oil, for one. And our natural gas, our coal, our nuclear. But in Washington, they have done everything in their power to stymie responsible domestic drilling. That means hundreds of thousands of well-paying jobs will not be created. That means Americans will pay more at the pump. It means that we are continuing, then, to transfer hundreds of billions of your U.S. dollars to foreign regimes to purchase energy from them. They do not have Americas best interest at heart. This is dangerous. This is insane. We are told green jobs, though, are the future, that green jobs will save us. And to prove this they point to Spain, or at least they used to point to Spain. They cant anymore because they are investing in green jobs. It has brought nothing but massive debt and necessarily skyrocketing energy costs and even more unemployment, twenty percent unemployment there. For every one green job created, more than two traditional jobs were lost. This is not an economic policy. Its not an energy policy. This is diversion and this is social engineering. My fellow Americans, this is not the road to national greatness. It is the road to ruin. Its crony capitalism, too, on steroids. The corporatist agenda  big government, big business collaboration, with powerful friends in DC who can afford to hire the lobbyists to grease the wheels of government in their favor for these investments. In the interest of certain special interests, the government invests our money in technologies, in industries that venture capitalists tell us no, those are nonstarters. but theyll provide lucrative returns for favored corporate interests with major stakes in these areas. And in the interests of big government, politicians arent reducing the size of a bloated bureaucracy or cutting spending, though they say now that theyll freeze it. Theyll freeze it at historically high unsustainable levels. This collusion, this isnt competition. Its crony capitalism and it stifles our economy. It stifles the free market with overregulation and overreach and overtaxation. Government makes it increasingly impossible for anyone but cronies to get ahead. And now we are told that our economy is so complicated that only government can plan it for us. Though government created the problem, now government presents itself as the solution trying to convince us that we can win the future by letting that little intellectual elite in a far-distant capital win it for us. But President Reagan said you cant be for big government, big taxes and big bureaucracy and still be for the little guy. And thats who is left out in the cold today. Big business, big labor, big finance  they have seats at the table. The little guy doesnt. But were the ones left holding the tab. Were paying the bill. This is not the way its supposed to be. This is not the way that it must be. American exceptionalism is not exceptionally big government with a command and control industrial policy. Reagan reminded us yes, America is a great nation with great purpose in the world. But our greatness is not in government bureaucracy. History has proven again and again when government picks the winners and losers, we are stuck with the losers. And we the taxpayers subsidize the failures. We the taxpayers subsidize the failures, and in this time at a crisis point, we do not have the option anymore of subsidizing any more failures. This is a time for choosing again and the vision we outline here is just as stark as it was in 1964. But we must look over the horizon, as Reagan did. We must see where these unsound policies will ultimately end, and thats in decline and defeat. We face the same choices now as we did then. Only now, we are in even worse shape. We are no longer the manufacturing powerhouse that we once were. We are no longer a creditor nation. We are deeply, dangerously in debt. The federal government is spending too much, borrowing too much, growing and controlling too much. And this dangerous debt breaks the back of our economy and it wipes out jobs. As Reagan would say, there are no easy answers but there are simple ones if we just have the courage to confront our problems squarely. We have to stop spending and cut government back down to size just as we teach our children in our homes and our businesses to live within our means. We must reform entitlement programs in a way that honors our current commitments while we keep faith with future generations. And we desperately need jobs. Not from top-down government planning, though. It comes from the free market, ingenuity, and the work ethic of ordinary, entrepreneurial Americans. We need a vibrant economy that actually produces and grows and builds things again. A strong, vibrant America that is not grounded just in a service sector, but in a manufacturing and agricultural base that provides our families not just jobs, but with livelihoods. These and responsible resource development are the keys to starting that economic engine. We are shackled with those tax rates and the overregulation, but get big government out of the way and there is no reason that we cannot win. And we are at a crossroads. This is a time for choosing and the choices before us are as clear now as they were in 1964. Do we still believe in the values that this country was founded on? God-given individual liberties and limited government and free-market capitalism? Or do we surrender to big government and a corporatism agenda? Do we believe that we can compete and succeed by individual initiative or do we need government to take care of us and plan for us? Do we still have the courage and the will to not only endure, but to soar and to succeed? How we answer will be Americas glory or our shame. And these are not easy questions because today for many, there is fear in the air. The little guy, the individual American is made to feels ill-equipped and helpless and afraid in the face of our challenges. First lets remember, if we do just ask, remember God doesnt give us that spirit of fear. He gives us a spirit of power and love and a sound mind. Seek that spirit and we can we can have courage and confidence to make sound decisions. Friends, we are not helpless. Our future is in our own hands. Our success and our greatness lies in the courage and the hard work of individual Americans. We are an exceptional nation because we were built on and we are to affirm those values of freedom and hard work. 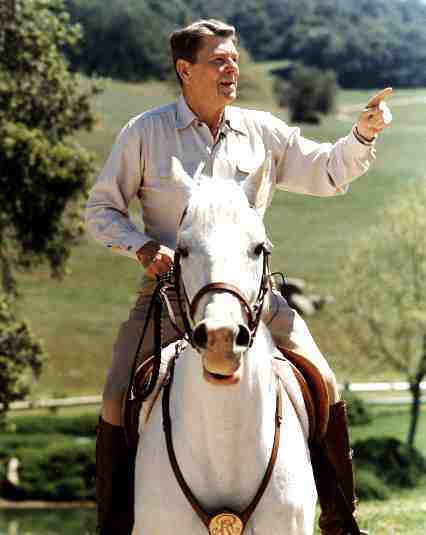 It was those values that inspired Ronald Reagan to build the sturdy wood fenses on his beloved ranch. He built them out of strong wood so they would endure just like our pioneering spirit endures. And those values will lead us back to prosperity. We must connect with them, reconnect with them. We must be as motivated and optimistic as our parents and our grandparents were, many of whom started off with nothing and yet they were able to build a fulfilled life by the sweat of their brow. We must get back to what it is that they believed in. They put their faith in God, not government. They didnt demand bailouts. They didnt need a stimulus. They didnt expect anything from anyone. They just wanted and they fought for the freedom to have opportunities to work hard. They just wanted to prosper by their own merits. If at first they didnt succeed, they took their lumps and they dusted themselves off and they got right back up. They didnt retreat. They tried again until they succeeded. Americas great recovery and renewal, it will happen again when we regain the steel spine and the moral courage of our grandparents generation. And by the way, if you need to be reminded of some of those virtues, these are the virtues that are lived by the same great Americans whom you will find in uniform, our sons, our daughters, our loved ones who take the oath. They pay the price for our freedom. Yes, our United States Military is a fine example of the steel spine and the moral courage that we need. Recovery and renewal starts with all of us, the little guys, exceptional Americans. President Reagan understood this. And our hero understood that the transmission of these great ideas to the next generation would ensure the survival and success of liberty. That is why he instructed us in his farewell address to educate the youth in what it means to be an American. So it is only fitting that his beloved ranch is in the care of the Young Americas Foundation, whose mission it is to train and teach the next generation of common sense conservatives to keep the flame of the Reagan Revolution burning bright. And today, it is burning bright. I think President Reagan would be so proud of the conservative movement today because we have never been more engaged and more passionate and more willing to put up with what it takes in order to serve. Here at our time for choosing, let us courageously and confidently meet the challenges before us by sticking to those time-tested truths that Reagan taught us, knowing that America is that shining city on a hill, knowing that God has shed his grace on thee, and knowing that truth and justice include the issue of life, that every innocent life deserves respect and protection. And it is that truth that determines our resolve to preserve for our children this America, this last best hope for man on earth. And know that we can have peace through strength, even as our allies like our beloved Israel and others who can appreciate Americas efforts and democracy. They look to our union for sense and for strength. And know that we are a force for good in this world and that is nothing to apologize for. Know that we shall keep our rendezvous with destiny. Young Americas Foundation and Reagan Ranch Center, I thank you so much for being part of the solution. THANK YOU VERY MUCH AL B !!!!! Also, Governor Palin is Eric Bolling's guest tonight on the Fox Business Network at 9 PM EST. As onyx stated, thank you for taking the time to do this for us. Your work is very much appreciated. Thanks for the transcript- my optical mouse died right when the speech started and I couldn’t adjust volume, etc. until I frantically found one that sort of worked. You know where I stand. I’ve compared SP to David before. I don’t worship her; I save that for God. Joan of Arc rallied France- I believe Sarah can rally the people of the United States. Great speech! That’s our gal. Bookmarked. Thank you dear one. Thank you onyx for posting this! You are the best! Thank you, dear onyx, for doing this for me as I’ve got to leave for the night. I love the way you did this. Any problems with the transcript are mine. As far as I know, this is the only complete transcript out there. With the problems with the video feed, I wanted to get the words down. Video problems aside, I thought the speech was exceptional. To: One Name; Al B.
Yep, you have compared her to David! You’re most welcome to the transcript. This is a keeper for sure. Posting it was easy. Al B. did the trascribing. All the thanks belong to him. You're more than super special. Your devotion to Sarah Palin’s cause and her honor to truth is not unlike your honor to President Reagan and I know that you choose politicians with the utmost care. She is worthy. I can't thank you sufficiently for taking the time to transcribe her Keynote Address in honor of his Centennial. "There is a whole army of patriotic Davids out there across this great country, ready to stand up and to speak out in defense of liberty. And these Davids arent afraid to tell Goliath, dont tread on me."
She is David and we much be her Davids. Mocked by the Pharisees and Sadducees of established religion, and by the Sanhedrin of politics, the Truth managed to endure. THANK YOU onyx and Al B for the transcript. She looks F A N T A S T I C on a horse. I could just see her riding into the White House on a horse. No Beastmobile for her! Thank you very much for posting the unabridged text of Sarah's speech. I looked everywhere for the complete text and found it no where. It must have been a very tedious effort and I can't thank you enough for getting this on the record. This speech would have been quickly buried but, now thanks to you, It is on-line for all of the world to see.